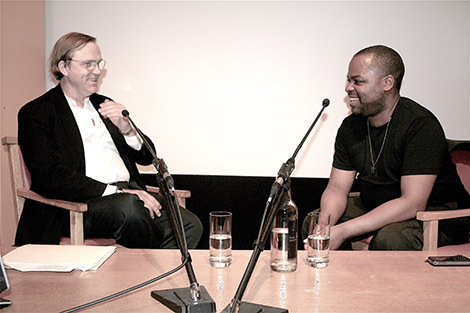 Curator, writer, critic and academic, Robert Storr, considered to be one of the most influential Americans in the art world will visit Chelsea College of Arts next week to work with students and take part in a panel discussion as part of our Graduate School events programme. 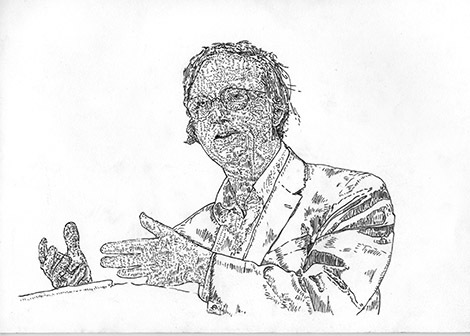 Appointed Dean of the Yale School of Art in 2006, his extensive career spans work as a curator in the 1990s at the Museum of Modern Art (MoMA) in New York, the Venice Biennale in 2007 as well as writing, public speaking and establishing the reputations of modern and contemporary artists such as Gerhard Richter, Max Beckmann and Robert Ryman. As part of his visit to the College, Chelsea’s MA Curating and Collections students will be taking part in a masterclass with him, which will be covered on this blog next week. Also known as a formidable writer, he has published monographs on Chuck Close, Nancy Spero, Franz West, Bruce Nauman and Lousie Bourgeois. Indeed, his Wikipedia entry states that his published writings encompass 289 works in 390 publications in 12 languages and 18,002 library holdings. From 2004 – 2011 he wrote a regular column, ‘View from the Bridge’ for Frieze magazine in which he covered topics as diverse as colour theory (and it’s limitations) and the significance of the leisure habits of the very rich, at times likening the experience of viewing art in one of Manhattan’s bustling galleries with a visit to a colonoscopy clinic and at others questioning what it means to be an ‘art writer’ at all. Storr’s presentation at Chelsea, therefore, is a fantastic opportunity to hear from the man dubbed by The New Criterion as a ‘kingmaker’ and by NY Magazine as “a vital link between the museum and academia”. If you can’t attend, Professor Paul Goodwin, one of UAL’s Chairs of Black Art and Design and former curator at Tate Britain will produce a think piece reflecting on the talk’s content, which will be published here following the event. Portrait of Robert Storr by Camberwell BA Painting alumnus Joe Morris. On Interpretation: A panel discussion with Robert Storr, Andrea Rose and Bernd Behr takes place at Chelsea College of Arts on 27 November 2014, 6-8pm. It is a public event presented by the CCW Graduate School and is a partnership between UAL and International Curators Forum. Further images of the Venice Bienally 2007 by Jane1000 can be viewed on Flickr. Find out more about On Interpretation on the event page. Read Robert Storr’s columns for Frieze magazine on their website. Find out more about studying MA Curating and Collections at Chelsea on our course pages. Find out more about the Camberwell, Chelsea and Wimbledon Graduate School on our research pages.